Icon. Heroine. 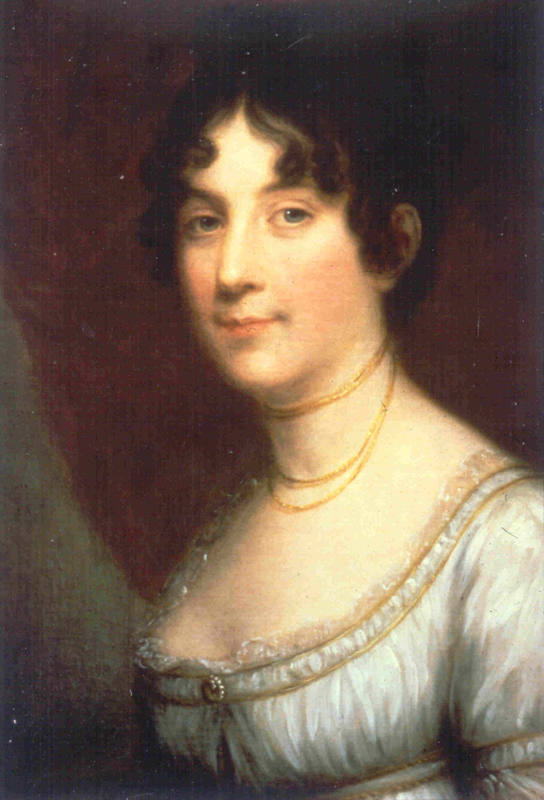 Guilford County native, and the only First Lady born in North Carolina, Dolley Madison is one of the area’s most celebrated daughters. As the wife of a prominent Virginia planter and United States President James Madison, Dolley’s life was characterized by long periods of prosperity. Surprising to many, however, are the financial circumstances that she faced in the last decade of her life. A beautiful peach colored silk gown was the first item to form the museum’s collection. Donated in 1950 by Dolley’s great, great niece and the great granddaughter of Dolley’s youngest sister, Mary Payne Jackson, this empire style gown was passed down through the Payne family. The Dolley Madison Memorial Association purchased a collection from the estate of another descendant, Neva Kunkel, the wife of Dolley’s great-great nephew and donated it to the museum in 1963. One of the most significant collections of Dolley’s belongings known to exist in the United States, it remains a national treasure. Personal items used at the Madison’s home, Montpelier, came from descendants of James Madison in the mid 1970s providing another look at the life the Madison’s shared. As Dolley continues to be honored the museum adds contemporary items, including a postage stamp in 1980 and a silver dollar minted in 1999.